The contemporary Trussardi brand is introducing a new SS19 Shoe Collection, made using fine materials like colourful python-print leather, combined with artisan techniques. 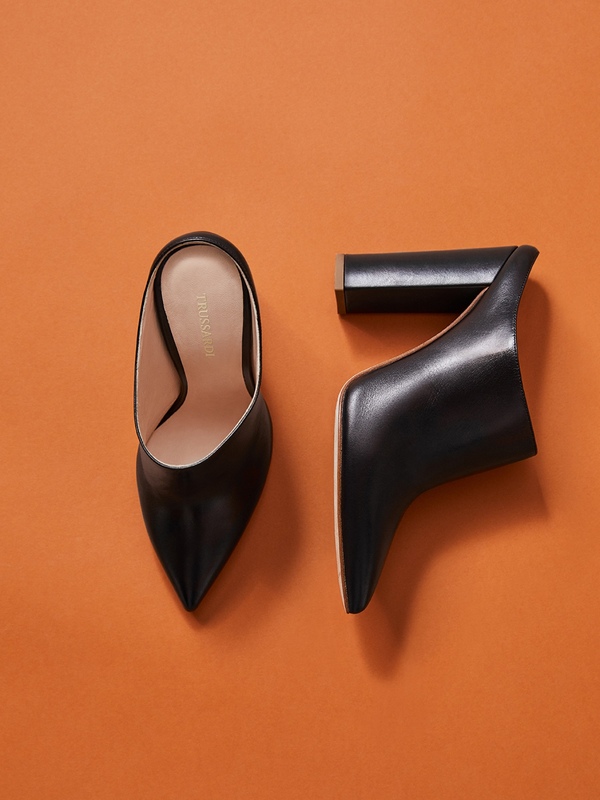 Two-tone pumps, mules, flat and heeled sandals, and running shoes are the models selected for the versatile Trussardi Woman who is looking for unique style. The Trussardi Jeans Shoes from the SS19 Collection merge new-classic elegance with style. Mini studs, fringing and maxi buckles embellish and add sparkle to Slippers, Sandals, Ankle Boots, Pumps, Espadrilles, Ballet Flats and Sneakers, celebrating the brand with a style journey through Nevada, Las Vegas and Coachella that is current and contemporary.